El Cedro is another farmhouse Jester King release, this time featuring dry-hopping with Citra, aging on cedar spirals, and lots of brett character. It is unfiltered, unpasteurized, and naturally carbonated through re-fermentation in the bottle with Brettanomyces. Tough to nail down an exact style, as always with the Jester King wilds/sours, but we're going with Saison again. As for construction, the malt bill is two-row and wheat malt, with the hopping duties carried out with Columbus and Citra. As per usual, the fermentation is taken care of with farmhouse yeast and local native yeast and souring bacteria. It combines tropical, fruity hop flavor and aroma with funky, barnyard yeast character and the unique flavor and aromatics of Spanish Cedar. Well this all sounds fabulous, so let's get stuck in. Appearance: A thoroughly-hazy golden body capped by two fingers of creamy white head that fades slowly, leaving brilliant lacing. Top marks. Aroma: A mix of funky Brett, green and citrusy hops, tropical fruit, mild cedar, and a laid-back crackery malt body. A hint of booze once it has warmed. Taste: Up front, a mix of rich barnyard Brett, tart citrus juice, tropical fruit, white pepper, green and strongly bitter hops, and mild cedar. Underneath, a wheat and pale malt backbone that grounds everything nicely. Just a little mild spice from the alcohol throughout. Lots of funk, citrus, green and herbal hops, cedar, and husky pale malt in the big finish. 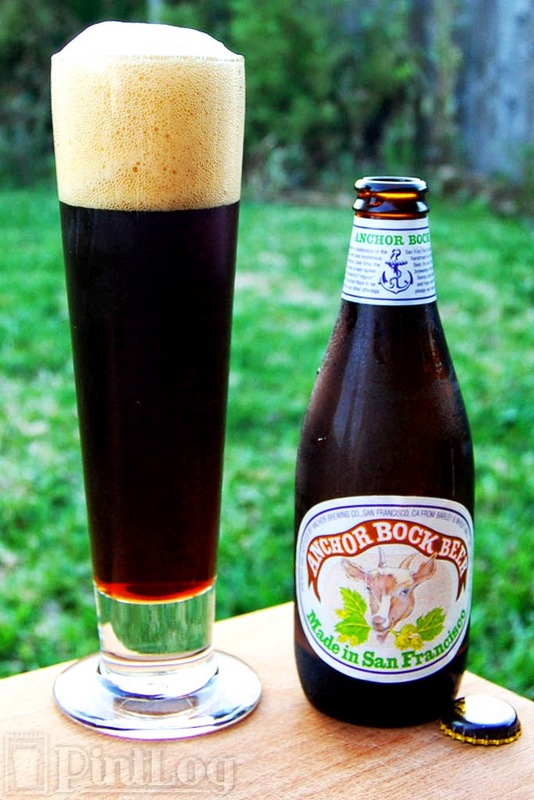 Mouthfeel: Medium bodied and creamy with medium carbonation and a bone-dry finish. Very mild heat from alcohol. Drinkability: Drinks much faster than the alcohol content would suggest, so watch out. Verdict: El Cedro is a solid big Brett Saison with a nice cedar component blended in. It's very much a Jester King beer that fits right into the lineup. There are a lot of intense components here, but everything comes together nicely. Note: These tasting notes are based on the 6th batch of this beer when fresh. 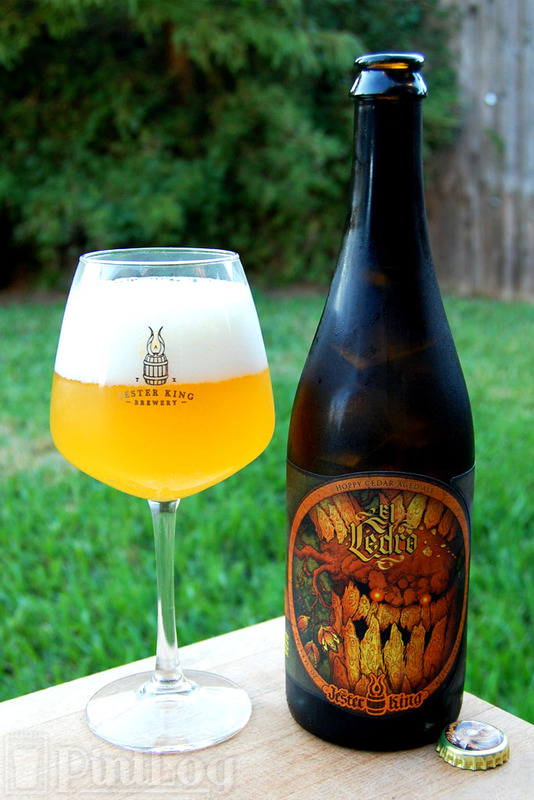 Brewery: Jester King Craft Brewery | Beer: Das Wunderkind! Das Wunderkind! is a blend of Das Überkind and fresh, hoppy beer. The process of blending these types of beer together is called bière de coupage, and used to be quite standard. When released, Jester King were very proud of the result, calling it "the best encapsulation of our brewing philosophy that we've released thus far" and that "it's brewed so that people who drink it will experience the "sense of place" or terroir of our brewery in the Texas Hill Country." This kid is unfiltered, unpasteurized, and naturally conditioned. It can be a little hard to pin down the exact style with these beers, but Jester King refer to it as a "blended Saison", so Saison it is. As for construction, the malt bill is two-row, wheat malt, amber malt and flaked oats with a hop bill of Goldings, Sorachi Ace, Nelson Sauvin and Falconer's Flight. Fermentation is handled by farmhouse yeast and native yeast and souring bacteria from the area. Das Wunderkind is dry, highly attenuated, unspiced, tart, floral, and funky. Sounds wudnerful, let's pop the top. Appearance: A thoroughly hazy golden-straw body capped by a finger and a half of fluffy white head that fades slowly, leaving excellent lacing. Aroma: A mix of barnyard funk, citrusy and green hops, golden and tropical fruit, and pale malt. Taste: A similar mix of funk, green and herbal hops, orchard fruit, and a hint of white pepper all over a backbone of grainy pale malt. It's all very well balanced. Green and bitter hops, mild funk, and husky pale malt in the finish. Mouthfeel: Light bodied and refreshing with medium carbonation and a lightly tart and dry finish. Drinkability: Drinks easily for funk fans, quenching all the way, as you may expect given the style and alcohol content. Verdict: Das Wunderkind! is a lovely, restrained, quaffable, and well balanced funky Saison. It goes back easily while never being boring thanks to its wealth of character, and is clearly a product of Jester King. Note: These tasting notes are based on the 17th batch of this beer when fresh. One of Jester King's staple sours, Das Überkind serves as a base for the blended Das Wunderkind! as well as most of their fruit re-fermentation beers. It's also a pretty awesome beer in its own right. It is unfiltered, unpasteurized, 100% oak barrel-aged for months. Jester King describe it as a "Vieille Saison" (or old Saison), so we're going with the trusty Saison label here. As for construction, the malt bill is Pilsner, two-row, wheat malt, and Caramunich with a hop bill of Czech Saaz and East Kent Goldings. Fermentation is handled by farmhouse yeast and native yeast and souring bacteria from the area. All of the time and steps that went into making Das Überkind result in an “old” beer that’s fruity, funky, and sour, with undertones of sherry and oak. My mouth is watering already, let's dive in. Appearance: A thoroughly hazy golden-straw body capped by small bubbly white head that burns off quickly, leaving bare, patchy lacing. Aroma: A mix of tart and sour citrus and golden fruit, vinegar, very mild green hops, pale malt, and some oak. Taste: Like the aroma, it's a mix of sour fruit, mild vinegar, a hint of funk, oak, mild citrusy hops, and a solid backbone of grainy pale malt. Nothing from the alcohol. It's all balanced nicely, with all of the elements interacting positively. Mildly tart golden fruit, husky pale malt, and a little oak in the finish. Mouthfeel: Medium-light bodied with medium carbonation and a drying and mildly puckering finish. No sign of the booze. Drinkability: With the sourness, this drinks just a little slower than the alcohol content would suggest. 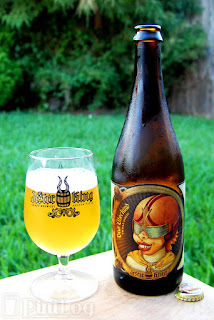 Verdict: Das Uberkind is a great little barrel-aged sour Saison that drinks perfectly. Mildly sour, this expertly toes the line between sour enough to be interesting and sour enough to drink slowly. Note: These tasting notes are based on the 3rd batch of this beer when fresh. One thing about Jester King is that they don't mind going small. It's not very often you see someone release a beer with less alcohol with a Bud Light in a 750ml bottle, but Jester King has a whole suite of them. Releasing premium session beers is one of their missions. Le Petit Prince is the slightest of all of them, at a scant 2.9% ABV. Hearkening back to the days where water was suspect and beer was safe, this beer is styled int he manner of the light, hoppy, low alcohol table beers of the time. It is unfiltered, unpasteurized, and 100% naturally conditioned. I'm going to go ahead and throw it into the somewhat catchall Saison style, like many other Jester King beers. As for construction, the malt bill calls for two-row and wheat malt, with the hop bill consisting of Perle, Fuggle, and Czech Saaz. As per usual, fermentation duties are performed by farmhouse yeast and native yeast and souring bacteria from the local area. This is a beer we've been excited about for quite some time now, as we believe that it's a clear, simple expression of the delicate, delightful interplay between noble hops and farmhouse yeast. This should be interesting, let's head to le petit royal court and check it out. Appearance: A thoroughly hazy lemon-hay body capped by two fingers of fluffy white head that fade in average time, leaving brilliant lacing. Aroma: A mix of funky yeast, lemony and grassy hops, and sweet pale malt. It's not particularly intense, but well sorted. Taste: Like the aroma, it's a light and airy mix of funky yeast and mildly bitter hops over a backbone of delicate sweet grainy malt. Everything is balanced perfectly, with an overall profile that is light in intensity but rich in character. Husky and sweet light malt and bitter green hops in the finish. Mouthfeel: Medium-light bodied with crisp medium-high carbonation and a drying finish. Drinkability: As expected given the aim and alcohol content, this drinks supremely easily. Verdict: Living up to its stated purpose in full, Le Petit Prince is a pretty genius beer; it's light, delicate, masterfully balanced, thoroughly sessionable, and yet still full of character and enjoyable to the last sip. Another great Saison from Jester King that's true to the brand. Note: These tasting notes are based on the 13th batch of this beer when fresh.